Fox News host Laura Ingraham apologized Thursday for calling Parkland shooting survivor David Hogg a whiny high school kid less than 24 hours after the student activist had mounted an ad boycott of her program and began scoring victories. 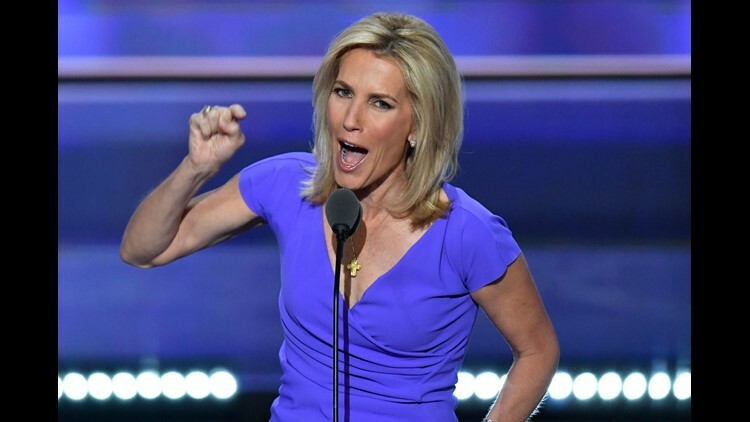 Nestle, Expedia, Hulu, Johnson & Johnson, Nutrish pet foods, TripAdvisor and Wayfair all announced they would pull their ads from the The Ingraham Angle, in the wake of Hogg's appeal to his 595,000 Twitter followers. Nutrish said "the comments she has made are not consistent with how we feel people should be treated." TripAdvisor, through a spokesperson, said the company does not "condone the inappropriate comments made by this broadcaster," CNBC reports. Marjory Stoneman Douglas High School Student David Hogg addresses the March for Our Lives rally on March 24, 2018 in Washington, DC. Hogg, 17, is one of a half-dozen students at Marjory Stoneman Douglas High School, in Parkland, Fla., who helped build a national movement for gun control following the killing of 17 people by a former student armed with an AR-15-style rifle on Valentine's Day. 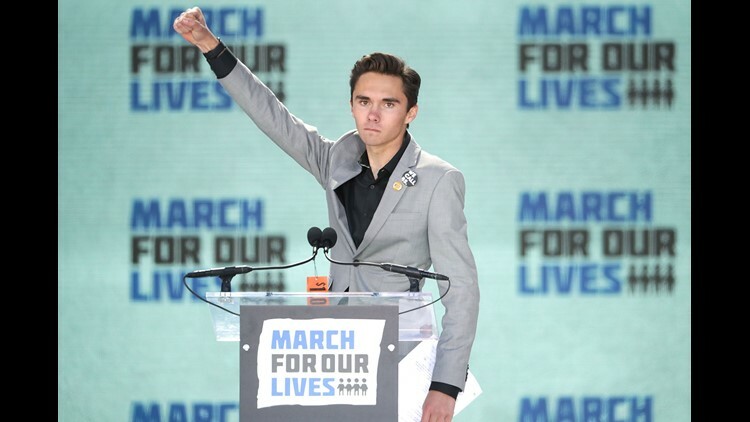 Hogg was also a prominent speaker at a weekend march in Washington, D.C., calling for tightening gun laws. Ingraham, who hosts a nightly show on Fox News, sought to cut him down with a tweet after he told TMZ that his bid to get into one of the four campuses of the University of California system was turned down, despite a 4.2 grade average and 1,270 SAT score. "It's not been too great for me and some of the other members of the movement," he said, blaming the "tsunami" of applications to college each year that makes it hard for an individual student to stand out. Acknowledging that he was "absolutely disappointed," Hogg noted that students such as him are already changing the world. "If colleges want to support us in that, great, if they don't it doesn't matter, we're still going to change the world," he said. That, in turn, prompted Hogg to issue his boycott appeal, listing 12 of her sponsors, incuding Sleep Number, Wayfair, Arbys and Liberty Mutual. Barely 16 hours later, Ingraham folded. "Any student should be proud of a 4.2 GPA —incl. @DavidHogg111," she tweeted. "On reflection, in the spirit of Holy Week, I apologize for any upset or hurt my tweet caused him or any of the brave victims of Parkland. For the record, I believe my show was the first to feature David... immediately after that horrific shooting and even noted how 'poised' he was given the tragedy. As always, he’s welcome to return to the show anytime for a productive discussion. " Hogg tweeted back, however, that an apology in an effort just to save your advertisers is not enough." " I will only accept your apology only if you denounce the way your network has treated my friends and I in this fight," he tweeted. "It’s time to love thy neighbor, not mudsling at children." The bid was reminiscent of ad boycotts of other Fox news hosts, Sean Hannity and Bill O'Reilly. After Hannity reported a conspiracy theory involving a slain staffer for the Democratic National Committee, he lost at least five advertisers, according to Fortune. At least 44 companies also pulled ads from O'Reilly's show after allegations of sexual harassment. Fox eventually dropped the show entirely. Hogg, an articulate, aspiring television journalist, spoke up early after the shooting and had even taped real-time reactions from fellow students inside barricaded classrooms during the shooting. He quickly became a target of conservative pundits, who noted darkly that his father had been an FBI agent. Other charges included false claims that he was part of a group of young actors who show up at the scene of shootings to go on camera, pretending to be a student. Some bloggers also questioned whether he was actually at the school at the time of the shooting, a claimed dismissed by Politifact. Meanwhile, Hogg and his fellow activists are trying to organize town hall meetings between young people and members of Congress in every congressional district to raise gun issues.